Sometimes, even though you don’t want to, you end up thinking of the year that went by. So, here are some random thoughts that crossed my mind, sitting in snowed-out north-eastern Japan, -15°C outside, WhatsApping with friends around the world; something which I wasn’t planning on six months ago. I have been trying, often without success, to keep technology at bay. A phoneless cord? Maybe. A smartphone? No way. That used to be my policy. Things, however, don’t go as you planned, especially with kids around, and I ended up with a smartphone, knowing well that it was a slippery slope. One good thing that came out of it, though, was getting back in touch with long-lost friends over the last couple of months. For Trivandrum, it was again a continuation of the disappointments, neglect, maltreatment, etc. from the ruling class. The Mayoress, the government and its umpteen ministers, including one representing the city, all have conspired to crush the soul of this city. The Mayoress, by failing to find a solution to the city’s garbage issue, into its fourth year now. The government, by actively scuttling any development that matters to come here. And to rub salt in the wound, they have built a monument to ineptitude that stands like a middle finger being wagged at the citizens' faces. That is the “newly inaugurated” central bus station at Thampanoor, which resembles Fallujah after an US bombing raid. The contempt is palpable. Despite trying their best, the ruling class (who have suckled at the teats of this city, living here, sending their children to schools here, drinking the water from one of the oldest water supply system in the country, pooping into a sewerage system, which again is one of the oldest such systems in the country) has not managed to kill the city’s spirit...... yet. I believe, it is still one of the best places to live in this country. Speaking of poop - I am now in Japan, where pooping is a pleasure. Here is a rehash from a piece I wrote almost a decade ago. The system was new at that time, but I won’t be surprised if the Japanese have come out with a system that measures the amount of doo-doo you make and flushes the appropriate amount of water. It is all eco-friendly nowadays, you see. Save water. 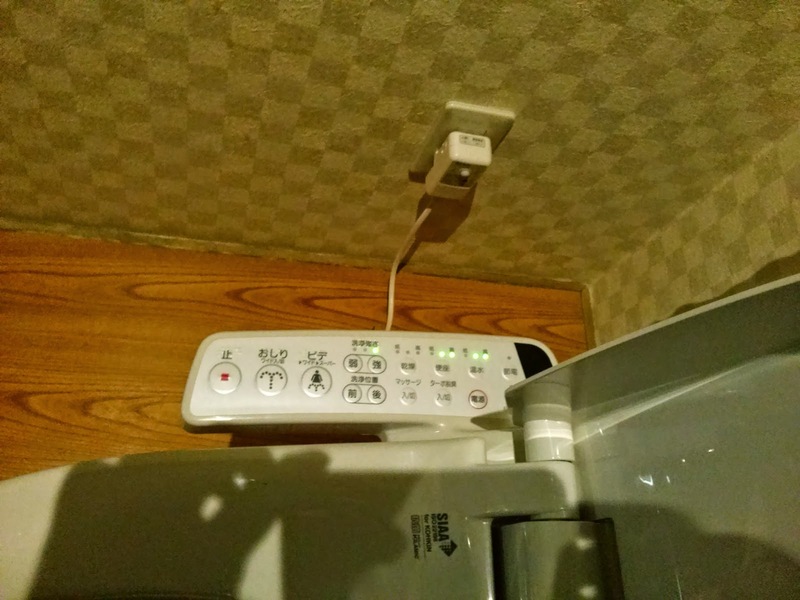 Some 74% of houses in Japan now has high-tech toilets. In comparison, 53% households in India do it in eco-friendly, natural settings, upholding the spirit of being one with nature (nice positive spin, eh?). 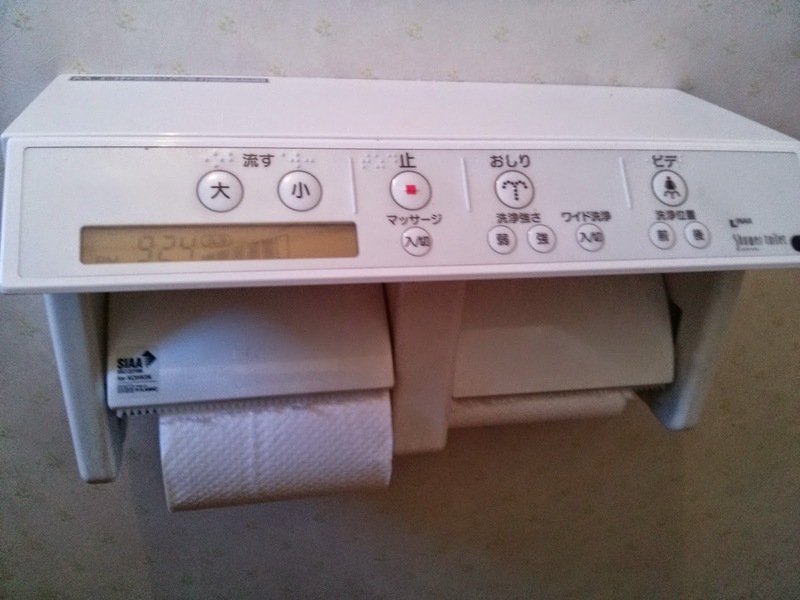 The potty I have been using here in Japan allows me to set the seat temperature (important in winter) as well as the water pressure, position and temperature. You can set it for automatic flush, so that it flushes when you raise your washed, rinsed and cleansed bum off the toilet seat. Women can also use it as a bidet. I sometimes dream of having one such potty in my house in Trivandrum, but then good sense prevails as my brain reminds me of how fried nuts would look like when the voltage shoots to 4000v unexpectedly in a lightning storm. Have to safeguard the family jewels! 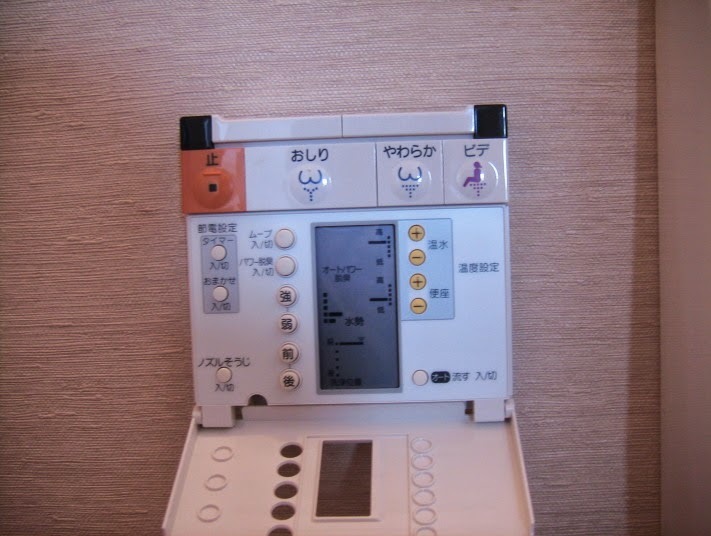 Finally uploaded the pictures of potty control panels! Hope you all have an un-constipated New Year. The one at a hotel I stayed recently (attached to the toilet seat). Well, this blog also seems to have run its course, looking at the recent output. Wish you all an interesting 2015 and beyond. Bini, I loved this one. It would be a shame if the rants stopped, as threatened. Rant, rant, against the dying of the light. They should let us post a voice track on these comment sections :). Am laughing so hard.Your incendiary combo of impotent rage and humor is inimitable.